It's Christmas time and all the shops in Tokyo are decorated and selling Christmas related items. People are happy and go about their Christmas shopping. A television announces the release of new album by Minako Aino called "Imitation". Up above the street on the roof of a building, Minako sings along to a playing of Silent Night. Elsewhere a man robs a convenience store with a knife and runs down the street. Back on the rooftop, Minako is lying down and looking at the Moon. Suddenly she sees something falling from it... a stuffed white cat yelling out "Good evening!" The cat introduces itself as Artemis. Minako though assumes he's just a stuffed toy, a robot or maybe even a kind of bird that imitates human speech! Eventually Minako introduces herself to him. They're interrupted suddenly by police sirens and the robber from before running down the street near the building they're on. 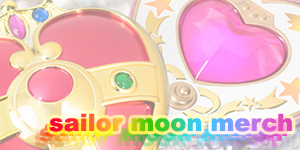 Artemis decides it would be faster to just throw Minako into the mix instead of explaining everything so pulls out a transformation phone, aims it at Minako and transforms her into Sailor V! Minako is shocked at this magical transformation and doesn't know what to think. She decides to follow Artemis though and confronts the robber. The robber attacks her with his knife. 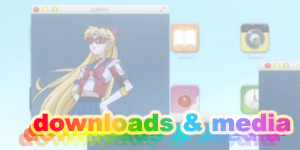 Artemis then yells at her to use her weapon in her pocket, the Sailor V Boomerang. Sailor V pulls it out and throws it but it flies right over the robber's head. Both Sailor V and the robber look stunned. The robber then charges at Sailor V but it turns out her Sailor V Boomerang throw actually sliced a nearby tree and one of it's branches falls and knocks the robber out. Sailor V turns to Artemis and thanks him for everything and tells him that this is the best Christmas present ever! A special Act Zero title screen then appears and the episode changes locations to the Tsukino household. Usagi is up early much to Ikuko's surprise. 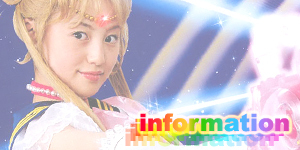 She asks her why and Shingo tells her that Usagi wants to buy Minako Aino's knew album which comes out today. The family then watches the news report about Sailor V having stopped the robbery of a jewellery store and are disappointed that the robber still hasn't been caught. 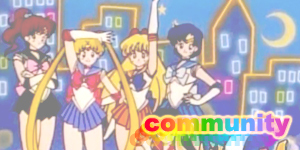 On her way to school, Usagi runs into Naru and her two other friends and the four of them gossip about how useless the policemen are in the local police box ("Koban") and begin to fantasise about what it would be like to be Sailor Soldiers like Sailor V. Naru thinks about being "Sailor N", Usagi wants to be "Sailor Rabbit" and the other two, "Sailor P" and "Sailor M". 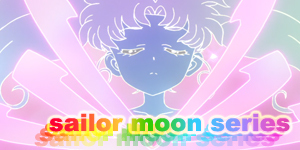 Behind them, Ami overhears their conversation and fantasises about being "Sailor A". Usagi sees her acting and looks at her but then turns around and continues walking with Naru and the others. In the police box, the three policemen and policewoman (hilariously played by the same actors that did the four generals) klutz around, pass out, scream, cry and punch things. Usagi and Naru who had decided to have a look stand in shock at the entrance. The captain sees them and asks them if they can help them but Usagi and Naru excuse themselves and run away. The policemen then swear revenge on the robbers for making them looks so bad. At Crown Karaoke, Motoki has just bought his pet turtle and is putting it into his new home. The phone then rings and he's surprised to hear that it's Hina. He tells her that he hasn't heard from Mamoru in a while and thinks that he's avoiding him. Hina tells him that he simply has something that he's decided to do. Elsewhere, Mamoru is dressing up in his Tuxedo Mask costume and getting ready to try and find the Imperium Silver Crystal. Somewhere else in Tokyo, Makoto is being kicked out of a Real Estate Agency and told that they can't give her a place to live as she's only a child. Angry, Makoto kicks the building but then hurts herself and limps away. 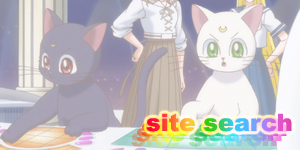 Across the road, Usagi and friends are scouting a jewlery shop/bank. Outside, two mysterious women are also scouting out the location. Sailor V is watching them from the rooftop. Artemis tells Sailor V that they were right in assuming the robbers would target this shop next. Suddenly, Usagi runs out of the building and starts screaming Minako Aino's name. Sailor V freaks out and runs away as she doesn't want her identity to be revealed. Tuxedo Mask who had been watching Sailor V from an even higher rooftop sees this and realises that Sailor V is Minako Aino. 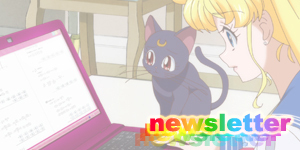 Funnily enough, Usagi was just raving about going to buy the new Minako Aino album. At the robber's base, the two women who were scouting the store are waiting for their boss, Cutey Kenkou to return. He soon does and he, the two women and a third leave. When they get to the store they are confronted by the new Sailor N, Sailor M and Sailor P but they soon tie them up. Sailor Rabbit (Usagi) then attacks them with a fire extinguisher but is then in turn caught as well. Cutey Kenkou eventually finds what he was looking for, a suitcase full of jewels but Usagi, seeing her chance swallows the key. Cutey Kenkou decides to take Usagi with them and in a blast of white smoke they all disappear. Naru and the other two girls run to the police box and tell them the situation. The policemen are more than willing to help them. At the hideout, Cutey Kenkou and his gang are about to slice Usagi in half via a magic box. Luckily Sailor V arrives and fights them off. The policemen also arrive and arrest them. As the robbers are being dragged away, Sailor V spots Tuxedo Mask taking stealing the suitcase with the stolen jewels. She runs after him leaving Usagi all alone wondering what to do next. Sailor V catches up with the Tuxedo Mask and asks him who he is. He introduces himself and the two fight but as they clash in mid-air memories are awakened in both of them that leaves them dazed and confused. Tuxedo Mask runs away while Sailor V tells Artemis that she's remembered her "real name" and everything about the Princess. Artemis tells Sailor V that he has found something as well, that something being the Usagi who he sensed is the Moon Princess. Artemis looks at the Moon and asks Luna to come as he's found something. Luna, hearing Artemis' message flies from the Moon through the night sky. At that moment, Rei at her temple, senses something and says that something is about to begin while looking up at the Moon. Ami, leaving her cram school also looks up at the Moon as does Makoto who is walking by herself. Up in space, Luna is thrown off course as she hits re-entry and blasts across the night sky. 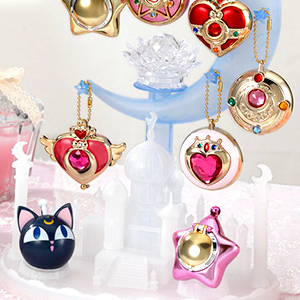 Usagi sees this from her bedroom and makes a wish for something wonderful to happen soon. While in cannon Act Zero features the first appearance of almost every character it was the final episode to be filmed overall so the only first appearances I'll list here will be those that hadn't appeared in any episodes or specials before this. Such characters include Cutey Kenkou and his three female sidekicks, the policemen who while played by the same actors as the four generals are completely new characters with no connected to the actors' previous roles. The use of the "helicopter sound" used for dramatic effect in the main series was joked about and referenced a lot in this special episode with the humorous revelation that a villain literally carried around a stereo for playing the sound. Kind of obvious, but the jewellery store that was broken into was called "Jupiter" and Makoto was just across the road! Again, kind of obvious but worth mentioning. Speaking of Jupiter it was rather funny how they finally dealt with the fact that a minor would have a hard time finding a place to live on her own. Lots of "in" jokes with the cops with Zoicite-cop passing out the same way he died in the series, Nephrite-cop's anger management problems and eating the pills while saying how terrible they tasted (like Ami's cookies) and Jadeite-cop being a woman which was just fun. 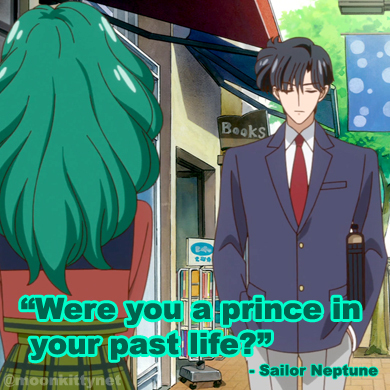 This episode answered the question of "How did Tuxedo Mask find out Sailor V's identity?". Ironically he found out due to Usagi who was the last to find out later on in the series. 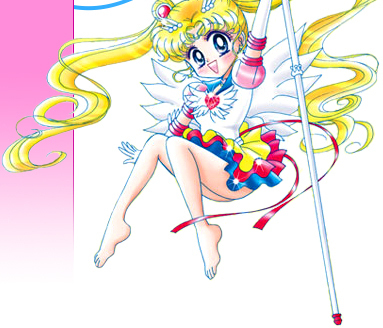 While this was the final episode to be filmed care was taken to fit with continuity as can be seen by Tuxedo Mask wearing his old white mask, Sailor V never actually seeing Usagi and character's haircuts and fashion styles.